Reflections Around the Campfire: I Can't Go Camping, So . . . I thought I’d have a little fun today. In a previous post, I had mentioned that my husband, Alan, has a major construction project going on at a rental property we own. If all goes according to plan, the project should be finished by the end of this summer. Meanwhile, he spends as much time as possible on site, working out of our older travel trailer, since the property is about three hours from our home. I help him whenever schedules, projects and the task of running a household are under control at home. When working on site, we usually end up filthy and exhausted - so much so that we’re both out like a light before 8:00 p.m. most nights. (Don’t laugh at us or we just might put you to work, too.) Last summer, we enjoyed almost six weeks on the road touring the National Parks along the west coast. This summer . . . nothing. (There is no emoji on earth that could convey the amount of sadness I feel right now, so I won’t even try.) That being said, this is a really important project that will make a huge difference in the maintenance of the property and should increase its value substantially. And, if all goes well, Alan and I will get out this fall to explore and enjoy. So, I’m on board with it 100% - really. But that doesn’t mean I’m not envious of all the RVers I pass on the road and all of those whose RV travel blogs I follow. But, rather than wallow in self-pity, I figured I’d do something that would be fun and constructive with the little bit of spare time that I have, so please do come along and play with me. It has been a little over six months since I launched this blog. While I’ve been writing for much longer than that, my audience now is made up of a number of people I don’t know well or even at all. So, in the interest of helping you decipher my quirky personality, I’ve devised a short quiz. If you’d like to play along, give yourself four points for each correct answer and see how you do. # 1. Pickup truck, SUV or sedan? # 2. Macy’s or Walmart? # 3. Kayak or canoe? # 4. Left brain or right brain oriented? # 5. Wine, beer or iced tea? # 6. Cake or pie? # 7. Dockers or jeans? # 8. Coffee or tea? # 9. 1969 Chevy Chevelle or 1969 Dodge Charger? #12. Romance novels, mysteries or biographies? #13. Starbucks or Dunkin Donuts? #14. Athletic shoes or hiking shoes? #15. Cereal – dry or with milk? #16. Art museum or natural history museum? #17. Dunkin’ Donuts or Krispy Kreme? #18. Water skiing or snow skiing? #20. 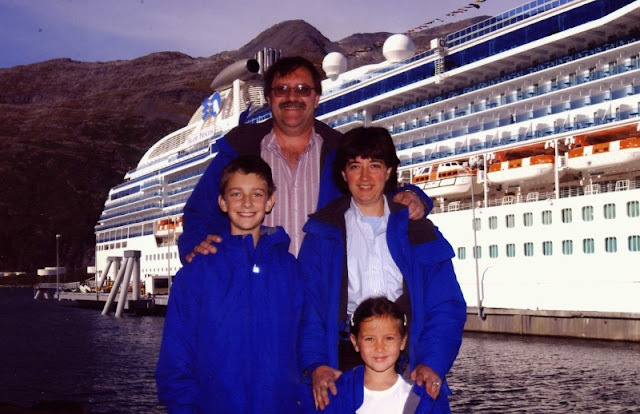 Cruise ship – large or small? #22. Hamburger or hot dog? #24. Alarm set for 6:00 a.m. or 9:00 a.m.? #25. Full hook ups or dry camping? # 1. SUV. While Alan and I do swap vehicles on a regular basis depending on who’s going where and doing what (he drives the GMC Sierra 2500 tow vehicle), my ride of choice is my 2007 Chevy Tahoe. I’m only 5’ 1” tall, and the pickup truck seats are not really made for little people like me. Having a second vehicle that can tow helps us when we want to take both the travel trailer and the power boat to our favorite lake. Not only is the Tahoe comfortable for traveling, but the extra space in the back seat provided a bit of a buffer between the kids when they were younger so they could spread their stuff out and not feel crowded. Plus, with Kyra playing sports all through middle and high school, having the extra room in the back for her gear and our coolers was a big advantage. # 2. Walmart. I break out in hives if I look at the price tags in Macy’s. And I can never find anything I like there. I consider myself the CFO (Chief Financial Officer) of our family and I tend to spend as little as possible on things that are not necessarily important to us (like clothing and large, flat screen TVs) so that we have more money available for things that are important to us (like traveling and dining out). While I consider myself frugal, my kids call me cheap. However, when that happens, I usually point out their extensive travel experiences and the fact that, so far, neither has had to borrow any money for college. We all have our priorities and, as far as I’m concerned, to each his own. # 3. Kayak. Omigosh! A kayak, for sure. I’d fall out of a canoe in about 30 seconds, flat. “Grace” is not my middle name. Plus, there’s that whole coordination of paddling thing going on in canoes. 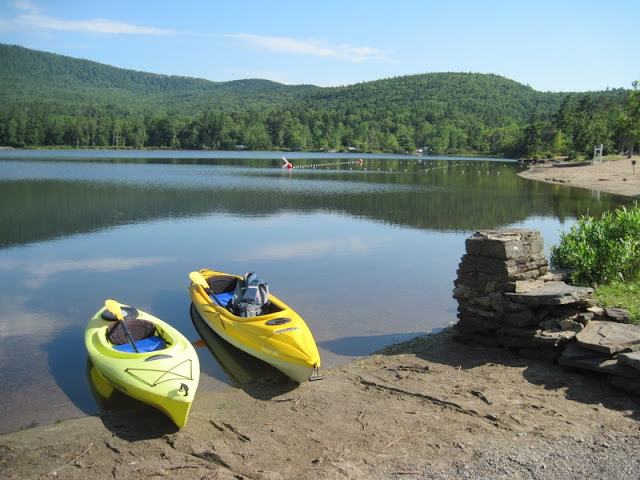 Alan and I decided to sell our tandem kayak for that very reason – either it went or one of us did. Happiness is a kayak for each of us! # 4. Left brain. I am logical, numbers-oriented and must have been in the back office on a calculator when they handed out the creativity genes. It’s well known in my family that I can handle stick figures. Sort of. Not really. Numbers make me happy. Arts and crafts stress me out, and asking me to design anything will send me over the edge. However, I’ll be happy to plan your six month long trip, chart your reservations and provide a complete list of activities including restaurant suggestions based upon your preferences. That’s just how I roll. # 5. Iced tea. My brother, Michael, and I were raised on our Mom’s home brewed iced tea. (Yes, milk with dinner, always. No worries, please.) When I was a young adult, I would enjoy a single glass of wine when we went out to dinner, but I’ve never enjoyed the taste of beer. One night, when we were at a restaurant with Alan’s parents, my glass of wine hit me so hard that it scared the life out of me and I never ordered one again. I don’t know whether it was that particular wine, the fact that my body’s ability to handle alcohol had changed or for some other reason entirely, but it was enough to turn me away from alcohol. Sure, I’ll enjoy a toast at a wedding, but iced tea remains my cold beverage of choice and I continue to brew it at home just like my Mom did. Tea over ice in a Mason jar with a sprig of mint and a slice of lemon – summertime perfection! # 6. Pie. Yummy, yum, yum! Apple, blueberry, peach, cherry, chocolate cream, coconut cream, banana cream – they are all my friends! Whipped cream? Yes, please! And don’t be stingy with it. # 7. Jeans. Always and forever. When I was in banking, suits were my standard attire and when I worked in the (more casual) business office of a school district, it was Dockers. Now, it’s jeans every day - except in hot summer weather, of course! # 8. Coffee. It’s the Elixir of Life. (Right, Ingrid?) While iced tea is most definitely my cold drink of choice, coffee is where it’s at for hot drinks. Nothing fancy needed. A good cup o’ joe with a little sugar and a dash of cream – ah, just perfect. Whether it’s with breakfast in the morning or around a campfire in the evening, make it hot and keep it coming. But please do make it decaf in the evening or Alan will kick me out of the travel trailer because I won’t stop talking. # 9. The Chevelle. Hands down. Bonus points if it’s a Super Sport. I have been known to drool when we pass one that has been restored well and repainted in a classic color. Although I do have to admit that I have a certain affinity for classic Corvettes and old Chevy and Ford pickups, too. #10. Woof! I admire the beauty and independence of cats. But, when it comes to their claws, I’m a “scaredy-of-cats.” I never know when they’re going to latch on and dig in. I know you’re going to laugh when I say this (go ahead, just don’t tell me that you did), but they’re like the Jack-in-the-Box I had when I was little. You just never knew when Jack was going to shoot up out of his box and scare the crap out of you. Since I never liked surprises, I would hold my hand on the top of the box until I heard the “click” over the sound of the music and then I’d let Jack out nice and easy. (I already told you I was quirky, so don’t pretend you didn’t know.) Dogs, now dogs are another story entirely. Dogs don’t plot and scheme and then pretend they knew nothing about the plan to dig up all your houseplants or chew your slippers. No, they just point out the destruction with pride in their eyes and joy in their hearts. In fact, that’s what I like about dogs – they wear their hearts on their sleeves, so to speak. And they love you no matter what. 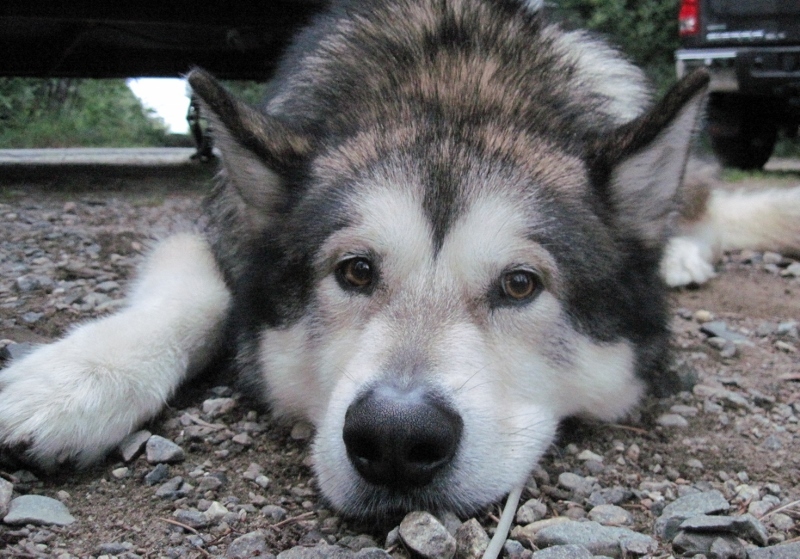 Tanner, our beloved Alaskan Malamute, passed away in 2016 after a full life of 13 years with us. He was the best camping dog ever! As soon as he saw Alan pull the travel trailer down from the back, he would wait by the back door or pace back and forth as we loaded it up. We all still miss him, but we are dog-less by choice these days. The type of traveling we intend to do over the next ten years or so would preclude taking a pet with us, so it’s a dry spell for us right now. However, Ryan and his girlfriend, Anya, are happy to bring their dog, Whiskey, by to visit “Nana, Pop and Auntie.” Dogs are like your favorite blanket or stuffed animal from when you were a kid - they warm your heart, soothe your soul and have the ability to make everything in your world right again. Tanner, relaxing at a campsite - he was such a good dog! 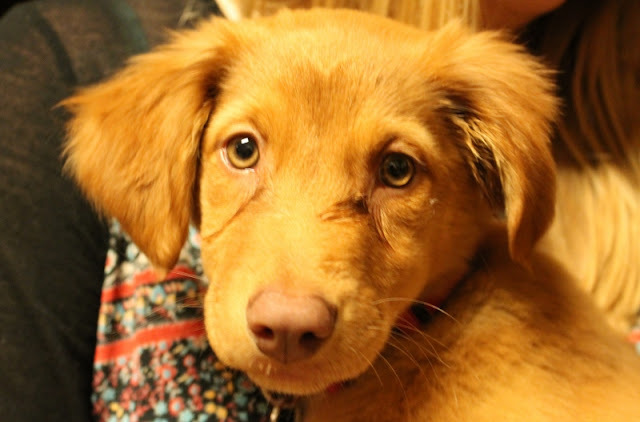 Whiskey is no longer a puppy, but this is still one of my favorite photos of her! #11. Fiction. Although I do read non-fiction when I’m planning a trip, following finance and investing, or researching new time management skills, when I read for pure pleasure it has got to be fiction. #12. Mysteries. Without a doubt. My favorite authors include Michael Connelly (for his police procedurals – I love his Harry Bosch character), William Kent Krueger (his Cork O’Conner series follows a former sheriff in the North Country of Minnesota), C. J. Box and Paul Doiron (both authors use game wardens as their main characters - Joe Pickett and Mike Bowditch, respectively), Robert Crais (once I got past his main character’s name – Elvis Cole – I quickly became a fan of this investigator), Sue Henry (her Alaska mysteries sometimes include a character called Maxie who travels in her RV accompanied by her dachshund, Stretch) and, of course, Nevada Barr (a former Park Ranger whose mysteries are based in various National Parks). I recently began the Jack Reacher series written by Lee Child and am enjoying them immensely. Reacher is a former Army Major who finds himself attempting to resolve various crimes and mysteries as he travels the country. And he never, ever loses. Any time we pack up the RV, you can bet there are at least two or three books in the “book basket.” I love the feel of a real book in my hands, although I do use my Kindle to read one at times. What makes me really happy? A back-in campsite at the lake, my recliner turned toward the big back window, a fresh cup of coffee on the end table and a good book in my hand. Life’s simple pleasures are the best! #13. Dunkin’ Donuts. I really enjoy the taste of Dunkin’ Donuts coffee (Starbucks seems to be a little bit too strong for me) but, truthfully, I’ve moved on to McDonald’s coffee. A couple of years ago when I ordered a small coffee at DD and saw how small the cup was and how large the hole it left in my wallet, I decided I needed to look elsewhere. 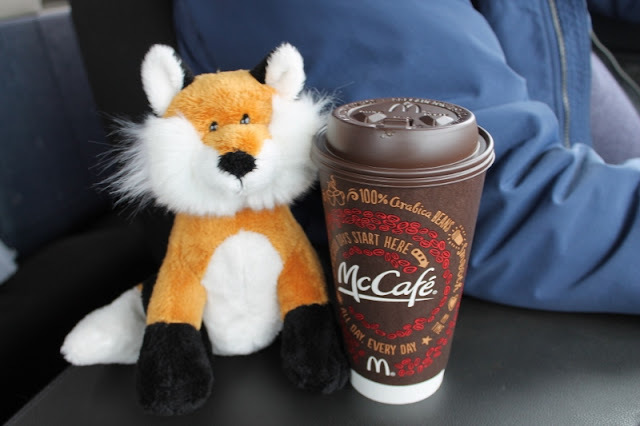 Once I tried McDonald’s McCafe, I was hooked. And the price is SO much nicer! #14. Hiking shoes. 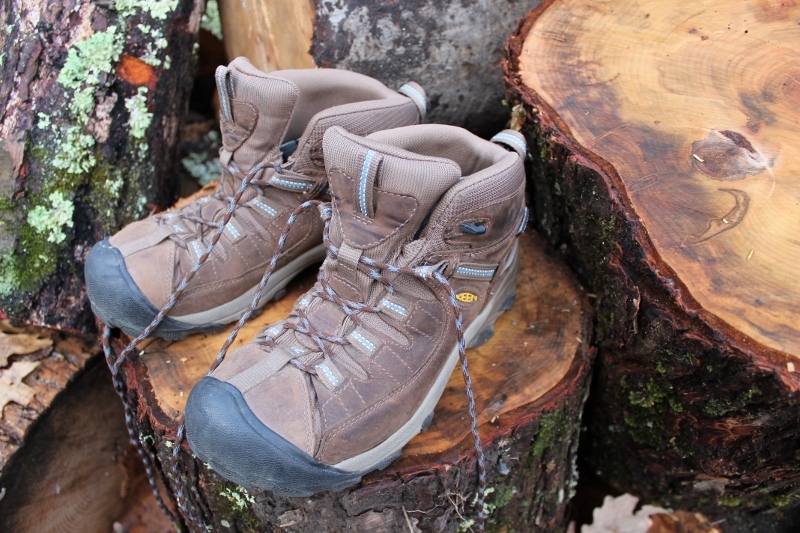 Low cut for everyday wear and waterproof mid-height for hiking. I do own athletic shoes (sneakers, as we used to call them back in the day), but I usually wear them on the boat or when playing tennis. Any other time, you’ll find me in Merrells or Keens. Hmmm . . . These don't look dirty enough to be good hiking boots. #15. Dry! How can you people eat cereal that’s gotten soggy with milk! Eeeeew! #16. Natural history. I wouldn’t know a good painting if I fell over one, although I do love landscape and nature photography and some of artist Frederic Remington’s bronze statues. #18. Water skiing. Alan taught me how to water ski when we bought our first boat back in 1986. We were in our late 20’s, at that point, and I’ve skied on and off throughout my adult life since then. I am proud to say that I was up on skis just two summers ago at the ripe ol’ age of 59. No, I didn’t almost kill myself, thank you very much, but I did wear my safety yellow t-shirt just in case Alan had to circle back to find my body. I do enjoy cross-country skiing, but regular snow skiing is SO not for me. And that’s for the same reason that I love camping – so many trees. Plus, fear of heights + ski lifts = no snow skiing for me! #19. Hotel. Alan and I laughingly call ourselves “social hermits.” Yes, we do have family and friends with whom we love to get together, but neither one of us needs a lot of social interaction to be content. Staying at a B&B is like going to a party to us. Yes, we can socialize with the best of them but it is actually physically draining as we’re not the type of people who draw energy from big social scenes. Give us the anonymity of a large hotel any time over the need to converse with the B&B owner and other guests over a shared breakfast table. Wow! This is stressful just writing about it! #20. Large. Between 1,000 and 2,000 passengers is ideal. Why? Just re-read the answer to #19. Alaska, 2004 - Ryan was 10, Kyra was 5 and Alan and I were much younger than we are now! #21. Oak. I love oak and, sadly, it’s out of favor in the RV world right now. I prefer it because the lighter color tends to brighten up a room and the very visible wood grain brings more of the outdoors in. It’s okay, though, if you prefer mahogany, walnut or cherry. I won’t hold it against you. Remember? To each his own! #23. Coke. Gotta be. Enough said. #24. 6:00 a.m. That’s the time my alarm is generally set for but, I have to admit . . . I’m usually up by 5:30 a.m. I definitely have that “morning person” gene. If I ever sleep past 8:00 a.m., I feel like half the day is shot. #25. Dry! Yes, I do love those endless hot showers that full hookups allow, but happy camping for me is waking up inside a National Park, on the shores of a pristine lake or within sight of a fast flowing river. I believe that campgrounds on our public lands offer us the best opportunities to enjoy nature's peace and solitude in the midst of the magnificent scenery that only she can provide. So, yes, I’ll forego the full hookups so that I can wake up within a stone’s throw of Transept Canyon on the North Rim of the Grand Canyon, a few steps from the Virgin River in Zion or right in Acadia National Park with the rocky ocean shoreline just a short walk away. But I bet you knew that already, didn’t you? Well, that was a lot of fun for me – I hope you enjoyed it, too! How did you do? If you scored 100%, give yourself a big round of applause and 500 bonus points! Feel free to report your score in the Comments section below or let me know if you found out something about me that was especially surprising. And thank you for keeping me company during our “no camping” days! See that - you learn something new every day! Though I'll bet you did pretty well on the rest of the questions. Happy Birthday to Bill and Happy Anniversary to both of you! What a great post. So much fun getting to know you better and YES you were so right when you said we had a lot in common. What state do you live in? McDonald's coffee is #1 in my book followed by Dunkin then Starbuck's. I usually drink my coffee black but at Starbuck's I have to order one of the designer drinks because of the taste. Again, fun post! So glad you enjoyed it, Ingrid! Since I escaped from the workforce a couple of years ago, I've spent more time reading camping, finance and retirement blogs. While I've found I can certainly pick up a lot from an author's posts, I always felt it would be enjoyable to know a little more about his or her personality. That was the reasoning behind this post and it was a fun one to write! I'll email you later with some additional information. Have a delightful day! Well, I got 16 out of 25 right — and learned some new things! Great blog Mary! Well, what can I say? I am just full of surprises! So glad you enjoyed it - thought you would! A clever way to tell about yourself while effectively obviating any chance of coming across as egocentric. I must give some thought to this; I might just steal it! I think I got about half of these correct. And the fact that I didn't give you an exact number reveals a personality divergence that will be obvious if I do indeed purloin your creation. Nicely done! Mike, you should definitely do it! Based on feedback I received both here and via email, a lot of readers enjoyed it and it was a really fun post to write. In fact, I've already started making notes for a follow up quiz somewhere down the line. Being able to pick up on a blog author's personality always makes his or her blog more enjoyable to me. I wouldn't be surprised if that's true for others, as well.